Despite being Marvel characters, the film rights to The Avengers and The Amazing Spider-Man belong to opposing movie studios. So unfortunately we never had Spider-Man gracing the big screen with the other superheroes. But news broke out that the film studios were planning to acknowledge each others’ movies. I know, I purposely got your hopes up; but no, I didn’t mean they were going to lend charaters for brief appearances. Since both movies take place in New York, the film studios were going to share the imposing Oscorp Tower; it would’ve been an easter egg in The Avengers for Marvel fans. Unfortunately the design of the Oscorp Tower wasn’t completed in time for it to make an appearance in The Avengers, so the idea was scrapped. Wait, some of you don’t know the significance of Oscorp? Why are you reading this? Oscorp is an industrial corporation owned by Norman Osborn, the original Green Goblin and antagonist of Spider-Man. 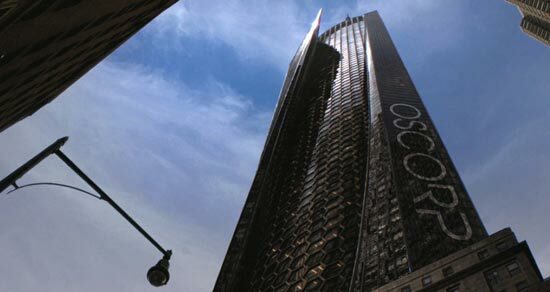 And as we saw in trailers for The Amazing Spider-Man, Oscorp plays a significant role in the premise. Yes, sharing a building in the two movies might not seem like a big deal, but the fact they’re willing to share aspects of the Marvel universe is a step in the direction a lot of us fans want. Stark Industries and Oscorp buildings in the skyline would be awesome at the end of the credits at least.